FabFitFun is a brand new seasonal subscription program! Giuliana Rancic is its spokesperson, and it is a quarterly sub. It costs about $50 per season, and each box contains hand-selected items in beauty, fashion, fitness, and wellness. They promise a value of $100 or more with full sized items. They will also be doing bonus gifts in between seasons, but it remains unclear how those will be done. Now, I will preface this unboxing by saying there has been some controversy over this first box. FFF had sent out early boxes to some bloggers for review/promotion. Those boxes contained some amazing items, and garnered lots of subscribers. Then, when the boxes started rolling in, people found that in some box variations, some of the most exciting products were missing or replaced with a second of a different item (with less value). There had not been any indication that there would be box variations, and many people felt duped. I did receive one of the affected boxes! I received my first box a few days ago! The packaging is cute and simple. It came in a sturdy mailer and everything arrived unscathed. Upon opening, I found that everything was very neatly packaged. However, in the boxes they sent out for promotion, those boxes contained a Butter LONDON polish and a GoSmile tooth whitening pen, as well as the Josie Maran lip stain and color stick. Many of us found 2 or all 3 of those items missing, and replaced with a 2nd or even 3rd piece of JewelMint jewelry. As you can see, I did get a second piece of JewelMint. I did receive the Josie Maran lip stain and color stick, in Waltz. 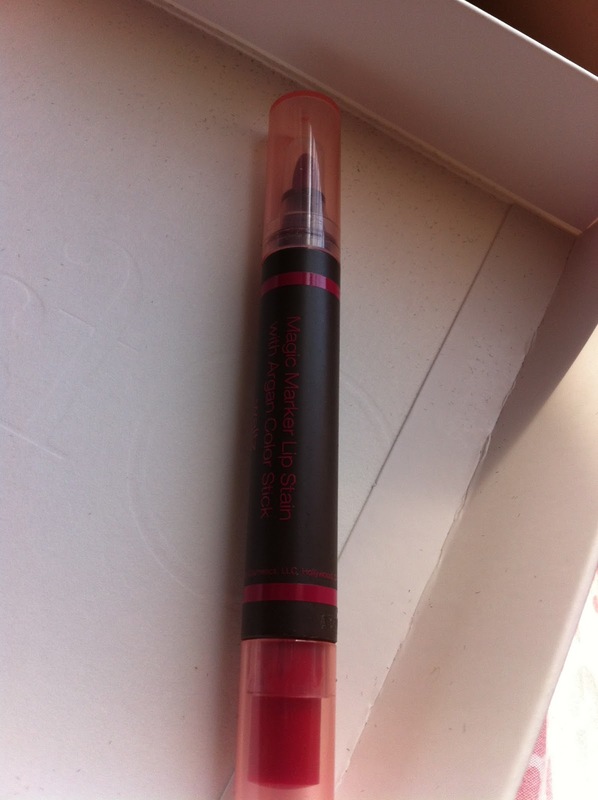 It's a beautiful berry pink, with the marker-like stain on one end and a moisturizing balm on the other. It is full sized, and the thing I was most excited about from the previews. This was the big selling point for the first box - a full sized bottle of Morrocanoil. I have never tried this product before, but so far, it seems nice! I love hair oils. The bottle is big and will last forever! We also received a Zoya nail polish in FabFitFun pink. This is a beautiful shimmery pink and I love it. Zoya is my favorite polish brand, and I am excited to have this. Great for summer. This is a sample sized brow perfection gel by Perfekt. The color is much too dark for me and I don't really do much with my brows, so this is just a "whatever" product for me. I might try it as a natural lash tint. 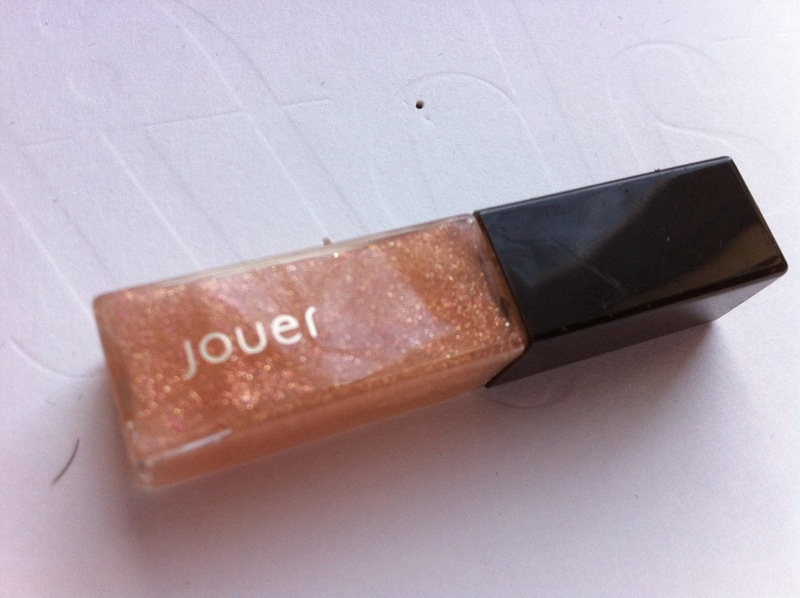 A sample sized lip gloss from Jouer in Glisten. I really like Jouer glosses! They aren't sticky. This one is nice and sheer with a pretty sparkle, and it is a welcome addition for me. Now, instead of the Butter LONDON polish and the GoSmile pen, I received an extra JewelMint item. I have to say I am really disappointed with this. This first item, the earrings, are just hideous. NOt only that, they are defective. As you can see, the dangly part of one of them was attached backwards. Not that I'd wear them even if it wasn't...I don't mind JewelMint, but I can't think of a single person who would wear these ugly things. The second piece is a little better. Still not my thing, but it is kind of cute and I might find reason to wear it someday. A summer/beach/London themed charm bracelet? Odd, but not too bad. This is a thinkThin bar in creamy peanut butter. I dislike getting bars like this in boxes, but I did try this one. Unfortunately, it was gross. I just don't care for bars like these, if I'm going to eat a bar, I prefer the kind made mostly of nuts and fruit. Here is the Josie Maran being worn - this is the tint with the balm over it. I love the color, and it feels nice and lasts! Overall, I like most of the items I received. 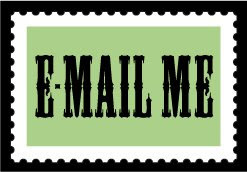 I am, however, really disappointed to not receive the Butter LONDON, which I really wanted to try, and the GoSmile pen. I do not feel that the ugly jewelmint earrings were any sort of a good substitution. Luckily, FFF has good customer service and are taking care of me. I will be sticking around for another season to see how they do. It's really a nice and helpful piece of information. I am glad that you shared this helpful information with us. Please keep us informed like this. Thank you for sharing. Its like you learn my mind! You seem to know a lot approximately this, like you wrote the ebook in it or something. This assurance is supported this skilful industrial imagine capabilities to the unbelievablesuccess.